The folks behind Kensington's beloved Thang Long have expanded south to Girard Avenue. 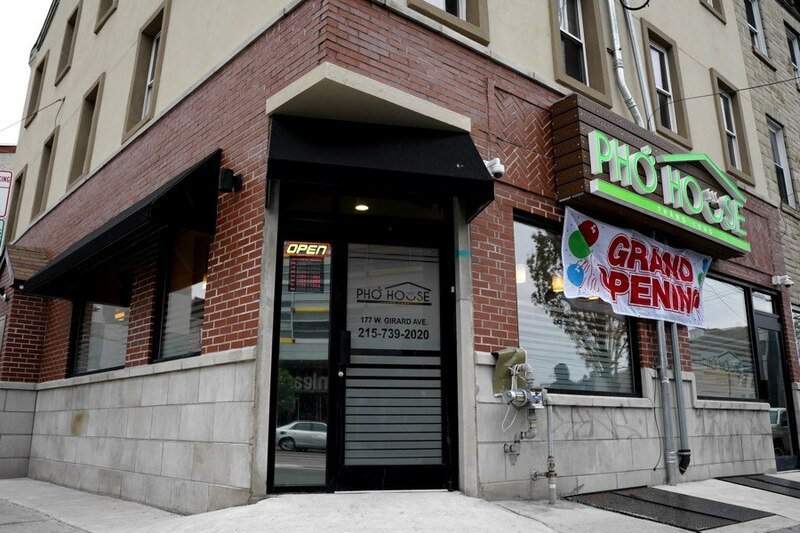 By Alexandra Jones·	 4/15/2019, 2:22 p.m.
A long-running Kensington pho specialist has just opened a new location in Northern Liberties. 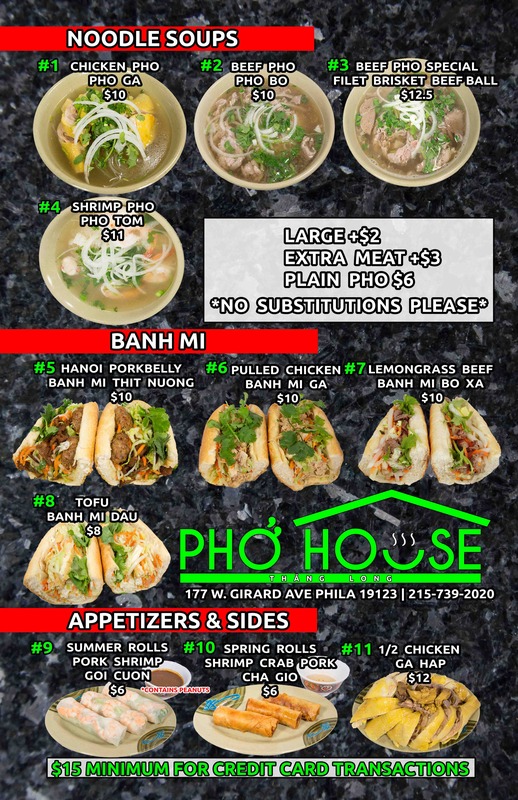 Pho House, the latest from the folks behind Thang Long, softly opened at 177 West Girard Avenue over the weekend. 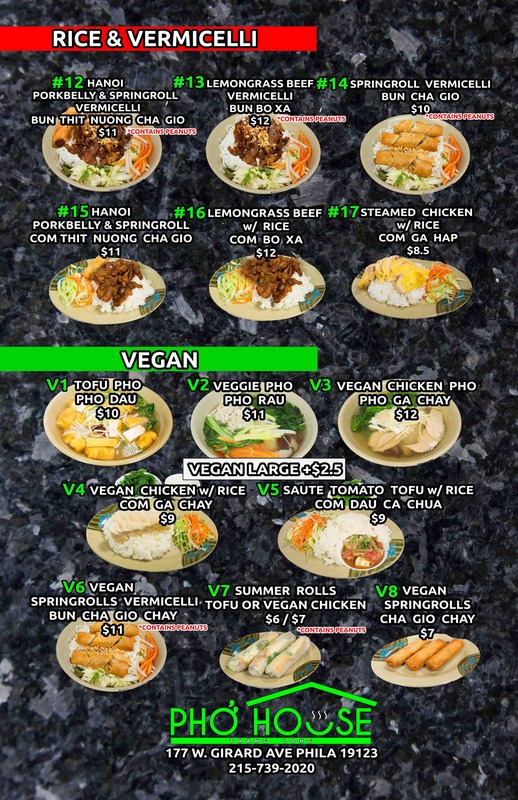 The menu at Pho House includes the same family recipes owners Phan and Dung Tran have been serving for 10 years on Kensington Avenue. In addition to beef, shrimp, and chicken pho and vegan pho, they’ll serve banh mi sandwiches stuffed with Hanoi-style grilled pork, lemongrass beef, pulled chicken, or tofu. To start, Pho House is open Monday, Tuesday, and Thursday through Saturday from 11 a.m. until 8 p.m., Sunday from 11 a.m. until 6 p.m., and closed on Wednesday. Check out the menu below.